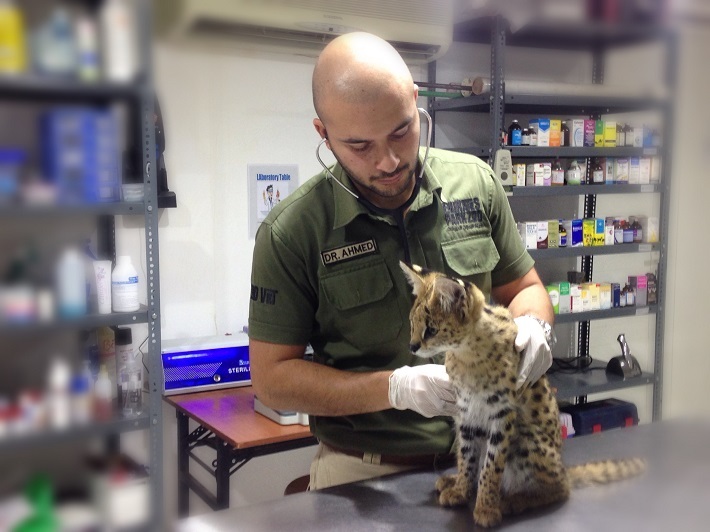 Abu Dhabi, United Arab Emirates: Pet owners can now take their furry friends to Emirates Park Zoo’s new Veterinary Clinic. Experience professional full grooming service for cats, dogs and birds at the new veterinary clinic, in the hands of an accredited team of staff. Services include-breed standard haircuts, hairstyles, a full body bath using medical shampoo, ear cleaning, eye cleaning, nail cutting, topped off with a gender-specific perfume. The clinic is just one of many facilities being developed to support the growing establishment. “We have received a lot of support for this project. So many people came together to make this clinic happen. It has been truly amazing to see this clinic rise from the ground up, and I am confident that those after me will continue to add to the clinic’s success,” concluded Dr. Waleed. The clinic is open from Tuesday- Sunday and follows the timing; 10:00 am to 12:00 pm and 3:00 pm to 9:00 pm. Emirates Park Zoo and Resort houses seven cafes and a recent refurbished restaurant that offers a wide array of dishes, cooked to perfection. The rooms are air conditioned with a private balcony that offers a spectacular view. All rooms come with wireless internet and satellite TV.